Dry Dog Food or Wet Dog Food for Yorkies? How Much Should You Feed Your Yorkie? Not every dog is the same, which means that not every dog has the same nutritional requirements. 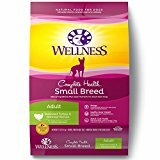 This is because the dogs have different sizes, coats, physical needs, and as a dog owner, it is your duty to know this and to be familiar with the nutritional needs of your pet. That way, you’ll know how to satisfy those needs, and help your dog live a ling, happy and healthy life. 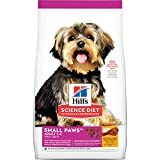 You might be interested in: Best Food for Shih Tzu Dogs. And for all the owners of the Yorkshire Terriers or Yorkies for short, we are going to present a great guide that is going to help out with the knowledge of what kind of food ought to be provided for them by their owners based on the dog’s nutritional needs. However, the people that don’t own Yorkies should not worry, because many other pages about other dogs are being added here, and if, for example, you own a pit bull, you can visit the best dog food for pitbulls page. Like your big dogs? Try this review on Husky dog food, or German Shepherd friendly food here. 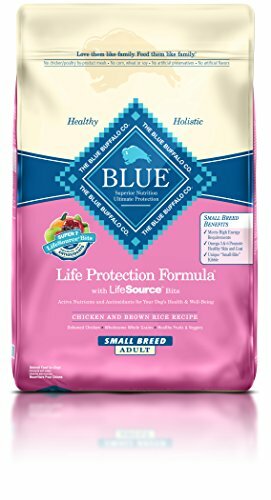 Blue Buffalo is a great choice due to the fact that contains ingredients that are completely natural. This basically means that your Yorkie is going to get vitamins, minerals, and nutrients, which are really important for a dog. There is a lot of protein in this food, and it comes from the muscles of chickens; and you should also know that there aren’t any chicken by-products here, only the quality stuff. This product also contains flaxseed – an amazing alternative to fish oil, and a perfect amount of Omega-3 and Omega-6 fatty acids. You can also find ingredients full of antioxidants here, like cranberries and blueberries. Why We Like it – This is a food rich in protein from the real muscle of chicken, but there aren’t any chicken by-products here. Apart from it, it also contains flaxseed which can be a great alternative to fish oil. It is also full of Omega-6 and Omega-3 fatty acids. Also, this product is full of antioxidants which can be found in its ingredients. 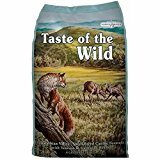 This food made by Taste of the Wild is full of venison protein, an ingredient easy for a Yorkie stomach to digest. Venison is a great source of proteins,and is a huge plus for this product. There are other protein sources in this dog food, and they include duck, lamb, egg and ocean fish, and all of those ingredients are considered to be a great source of prebiotic and prebiotic fibers. 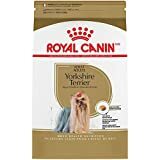 This product also provides optimal amino acid nutrition, and the fact that the kibble is rather small makes it easy for Yorkies to eat and manage. 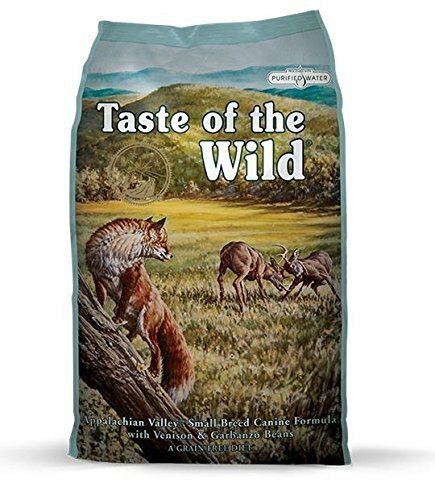 Why We Like It – This product made by Taste of the Wild is full of venison protein, which is something that a Yorkie stomach can easily digest. Also, venison is a great source of protein, but not the only one; other protein sources in this product include duck, lamb, ocean fish and egg – great sources of both prebiotic and probiotic fibers. This is dog food in which you can find all the natural ingredients an adult Yorkie needs. They include deboned turkey, chicken meal, salmon meal, oatmeal, ground barley, ground brown rice, rye flour, spinach, sweet potatoes, blueberries, apples, chicken fat, etc. All these ingredients make this food rich in vitamin E, vitamin A, and beta carotene. Also, the small size of this kibble makes the food manageable by a Yorkie. Why We Like It – Wellness Complete health contains chicken meat, deboned turkey, salmon meat, ground brown rice, oatmeal, rye flour, sweet potatoes, spinach, blueberries, apples, chicken fat, etc. All of these ingredients are the things that make this product so full of vitamins A and E, as well as beta carotene. 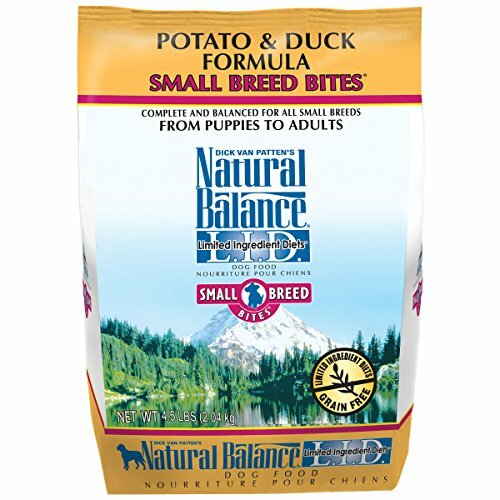 The ingredients of this product include duck and chicken, meaning that it is both healthy and tasty for your Yorkie. It does not contain any gluten, nor does it have any artificial flavors or colors. The size of the food was especially designed to support the small bellies and mouths of toy dogs, meaning that it is just perfect for Yorkies. Why We Like It – This is a product that contains ingredients such as duck and chicken, making this food amazing not only for your Yorkies health, but also rather tasty. It does not contain any gluten, nor does it have any artificial flavors or colors. The size and shape of this food was especially designed to fit the Yorkies’ tiny mouths and stomachs. There are no grains in this product, but the food is rather rich in protein. The main ingredients of it include chicken and turkey, and most importantly – salmon oil. Other ingredients include plenty of vegetables and fruits, which take care of your Yorkie’s health. There are other healthy ingredients, such as vitamins, probiotics, antioxidants, and minerals. Why We Like It – This is a product completely gluten-free, and full of protein. 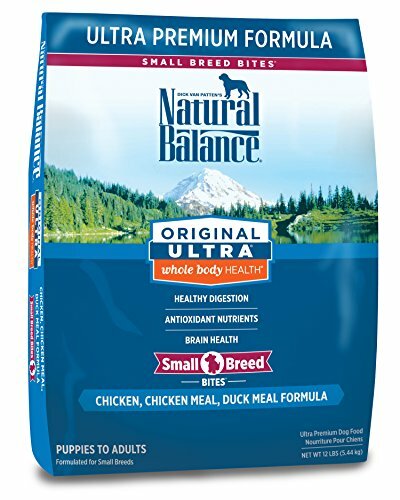 Its most important ingredients include chicken and turkey, and salmon oil as well. This product is also full of vegetables and fruits, which help for your dog to obtain his optimal health. Because of all the probiotics, vitamins, antioxidants and minerals that this product is full of, it is a perfect and healthy gift for your Yorkie. 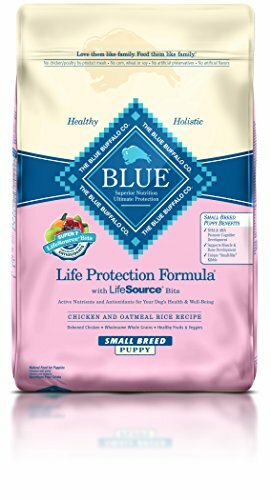 If you have a puppy that has a sensitive stomach or is prone to allergies, then try this product. Its list of ingredients is rather minimal, and they include premium protein and carbohydrate sources. This makes this food a great thing for all the dogs with the aforementioned problems. Also, it contains no grains, making it easy to digest, and the formula is great for shiny coats and healthy skin. If your Yorkie has started getting older, than you ought to get this product for him. It was formulated especially for older dogs, which means that it meets all their needs. It includes hip, joint and digestive health support. 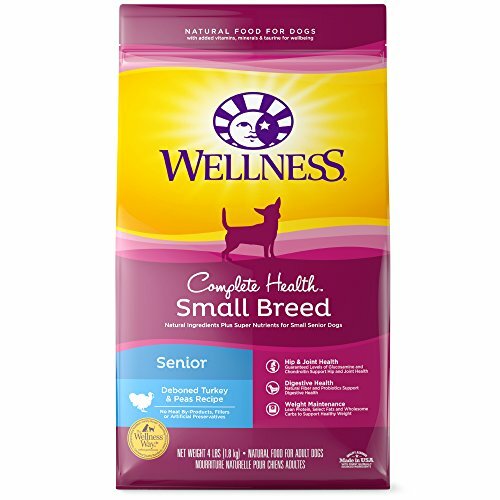 It contains deboned turkey with glucosamine and chondroitin, which means it is ideal for senior Yorkies. Orijen senior dog food is also a great option. If you have a Yorkie puppy, then this product should work great. It is made of real meat, garden grown vegetables and fruits, as well as of whole grains. This makes this food full of nutrients that a puppy that’s still growing needs. It also contains Life Source Bits which are full of antioxidants, something that is essential for a puppy that is still growing and developing. This product does not contain any byproducts, wheat, soy or corn either. Yorkies are like other dogs, and they need food that is full of vitamins and nutrients, and especially those made of completely natural ingredients and that do not contain any byproducts. Of course, there are some really important considerations that ought to be made before choosing the best food for your Yorkie pet. Like most of us know, Yorkies are a small breed of dogs which basically tells us that they do not have big mouths. So, if you are feeding your pet dog with dry food, then make sure you choose kibble, and most importantly, choose small sized kibble. If you give your Yorkie kibble that is too big, he might not be able to chew it properly or to chew it at all, and could have trouble digesting it. This is something that could eventually lead to malnutrition or even worse. There is another key consideration that needs to be made, and it has to do with the age of the dog, which is something that can and will affect the amount of the food that the pet eats. Also, this affects how often the dog eats as well. Now, because the Yorkies are small breeds of dogs, they just can’t eat too much food at one time, and that is why you can’t just feed your Yorkie once a day. This could cause some problems that could lead to an upset stomach and a low blood sugar. You need to feed your Yorkie at least 2 or 3 times a day, rather than just once. 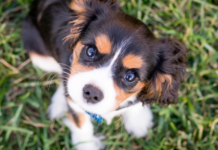 Weaning (4 – 7 weeks) – 3 Months: When you have a dog that is still weaning from nursing, it is really important to offer him food all throughout the day. This will allow the dog to gain enough weight in order to handle a diet that is more structured when compared to a mother’s milk. 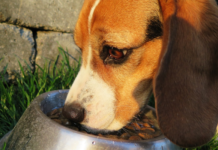 In this stage, you need to make sure that the food is always available to the dog, and doing so can help prevent hypoglycemia, and can help your pup eat any time he feels the need to, and this is something that is extremely important during this development stage. 3 Months – 1 Year: After the weaning stage, you need to start introducing your dog to a feeding schedule, which basically means that you shouldn’t provide the food for the dog at all times, because that will make the potty training extremely difficult. However, you can make it easier with the help of an effective grass turf for your dog. Also, when a dog eats on a schedule, you’re going to be able to train him better and improve the dog’s behavior. 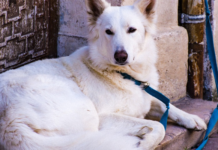 During this stage, the dog should get 3 or 4 meals a day – one in the morning, one in the afternoon, one in the early evening, and one in the evening. You need to remember the fact that your dog should not get any food at least 2 hours before sleep! 1 Year and Up: Once your dog turns 1 year, he can be considered an adult dog, and therefore, you ought to start adjusting the feeding schedule to 2 meals a day. One of those meals ought to be larger, while the other one smaller. The breakfast should be larger, because it’s the most important meal of the day, and a dinner should be smaller. The ingredients of the food the dog eats are really important for Yorkies and for other dogs as well. They can impact the health of your dog, and improve it or worsen it. Protein: This is one of the most important food ingredients for Yorkies, and some of the best sources of protein include lamp, chicken, fish, beef and turkey. The best protein can be found in the muscles of animals, and should never be processed! Carbohydrates: Dogs need carbs, and are considered to be one of the most important ingredients in their food, but when it comes to Yorkies you must be careful, because there are several different types of carbohydrates. Yorkies’ stomach can have a hard time processing the common carbs, like soy and corn, and the problem lies in the fact that many of the cheapest dog foods contain them. 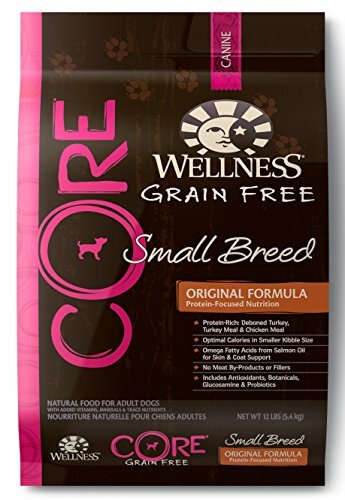 You ought to find dogs’ food with softer carbs, like brown rice and sweet potato. Fats: Every Yorkie needs to intake good fats, because they can help the dog maintain a nice, shiny, long and healthy coat. Fish oil is considered to be the best ingredient for this! Smaller dogs can have trouble with big issues, and that is exactly why they ought to be taken care of. And because the Yorkies are little but tough toy dogs, they are predisposed to some health problems; and even though a vast majority of Yorkies live a long, happy and healthy life, some of them can experience certain conditions which are considered to be common to this breed. 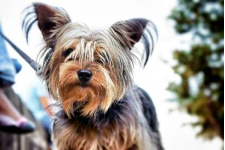 Therefore, it is really important that the Yorkie owners be aware of these health issues in order to be able to help their dog if the need for it arises. 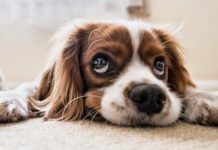 Collapsing tracheas – With Yorkies, a problem frequently arises during which the cartilage rings of the trachea collapse, and this makes it difficult for the dog to pass the air through his windpipe. It is still not known what exactly causes this condition, but it is believed that it could be a congenital abnormality in Yorkies. The symptoms of this condition include labored breathing, honking cough, and a blue color of the gums. Luxating patellas – This is a condition that occurs when the kneecap gets dislocated into the groove of the femur. 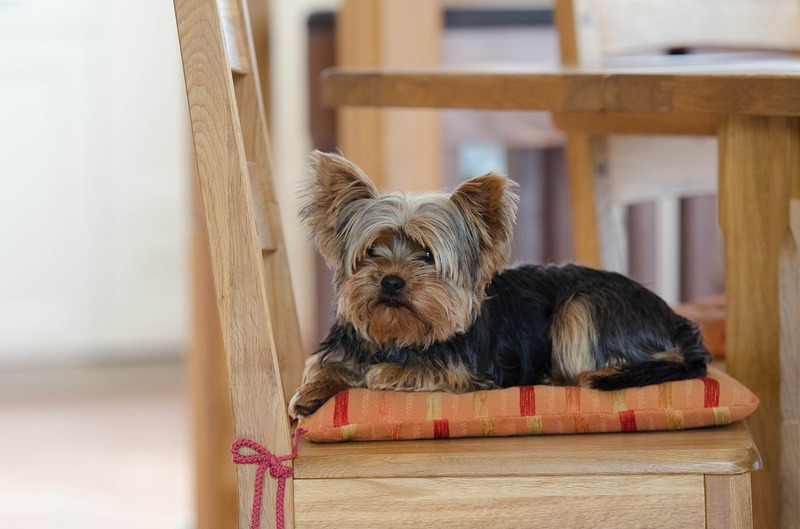 This is something that commonly affects Yorkies and other toy dogs, but the problem is the fact that the symptoms of it vary, and usually depend on the serenity of the issue. However, they usually do include abnormal movement of the hind legs, lameness and skipping. Dental problems – Tooth decay is something that happens to Yorkies rather frequently. This happens because these dogs have teeth that are vulnerable to the effects of plaque and tartar. The result of this is an infection which can occur in the dog’s gums rather easily. Help you pup with the best dog toothpaste here or even some tasty dental treats. Hypothyroidism – This is a condition that refers to the underactive thyroid gland, and is something that is really common in Yorkies. These dogs have thyroid glands that frequently do not produce enough of thyoxi, which is a hormone that helps the management of metabolism, which can lead to weight problems. Legg-Calve-Perthes Disease – This is a condition that reduces the amount of the supplied blood to the bones of the rear legs, and this causes those bones to degrade in time. Clear signs of this problem include limping, and can happen to a Yorkie as young as six months old. Sensitive Stomachs – Sensitive stomachs are something the Yorkies are prone to, and this happens because of the fact that they have a really tiny stomach which can easily become upset. This, in turn, leads to vomiting and diarrhea. See more dog foods for sensitive tummy’s here. When looking for dog food, you’ll notice that there are two main types of it available – dry dog food and wet dog food. And if you’re wondering which of them is better for your Yorkie, the answer is that the dry food is the best option. This mostly has to do with the fact that Yorkies have sensitive teeth, and so, this food is the better option. If you are an owner of a dog that has been having dental problems, then dry food is the best option for them. Dry food has a crunchy texture, and because of that, it can help clean dog’s teeth of tartar and plaque. 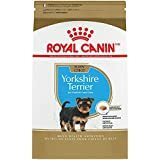 So, when you choose a dry food for your Yorkie, also make sure that you choose the one that comes in smaller kibble, because, as we have already mentioned, Yorkies have really tiny mouths and might have trouble eating the larger kibble. Also, the larger kibble can greatly upset their stomachs, which are really tiny and sensitive as well. However, this does not mean that the Yorkies can never eat any wet food; they can, but just make sure you mix it with some dry food. This is a question that can be a bit difficult to answer because not every Yorkie is the same, and each of them has different needs. If your Yorkshire Terrier is more active, then he is going to need a lot more food than the Yorkies that aren’t really active. Also, the younger dogs will have to eat a lot more than the older ones. Usually, it goes like this: a puppy ought to consume about 45-55 calories of food per pound of body weight. When it comes to adults, they need a lot fewer calories. Now, because not all foods have exactly the same number of calories, we can’t just give you a definite amount of food your Yorkie ought to eat. We can’t just say that you ought to give the dog half a cup of food; it all depends on the dog. The best way to figure out how much food you ought to give to your dog is to read the label on the food product and do according to it. Most labels illustrate the size of the serving according to the dog’s weight. If you are preparing the food for your Yorkie yourself, he will need to eat a lot less of it than if you were giving the manufactured food to him. A home cooked meal has more calories, which basically tells us that your Yorkie ought to eat less of it. 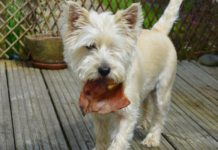 You can find various dog foods on the market, and many of them are indeed great for Yorkies, but we would like to recommend the following five to you, that have been deemed the best and the most popular food for the Yorkshire terriers by the dog owners and experts.